Vaping is becoming increasingly popular, and now a vape pen that’s small, discrete, and easy to use is taking over high schools – and the e-cig market. The Juul (pronounced “jewel”) appears to have a loyal and growing following among young people, who brag on social media about being able to sneak puffs in class or in the bathroom. 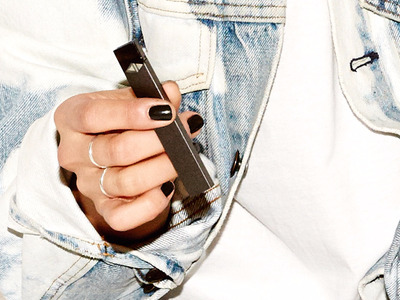 But it’s not just teens who are using it – the device represents a third of the market share of the total e-cig category, according to Nielsen data, meaning a large share of adults are also turning to the Juul. Compared with smoking conventional cigarettes – a process that involves setting ablaze a handful of tobacco, tar, and toxic metals – vaping seems objectively healthier. Nothing is burned – only heated – and tobacco doesn’t need to be involved at all. “The people that are marketing these new devices claim that their main focus is to reduce the risk of smokers, and I agree, vaping probably represents a reduction in risk from smoking,” Ana Rule, a professor of environmental health and engineering at Johns Hopkins University and an author of a study on e-cigs and teens, told Business Insider in March. “But they fail to address the increased risk to this huge market they are creating among teenagers and young adults that never have smoked, and would have never even considered smoking,” she added. Among teens, the Juul is not just a noun. It’s also a verb. Instagram and YouTube are full of videos of teens posting clips of themselves vaping, or “Juuling,” in class and in front of teachers; a string of high schools along the East Coast has acknowledged “Juuling” in bathroom stalls as a widespread problem, and dozens of teachers report confiscating Juul devices disguised as Sharpies and other classroom items. The problem has drawn the attention of scientists who’ve been called into high schools to give presentations on the health dangers of the Juul; leaders at the US Food and Drug Administration, where a string of recent undercover sting operations have turned up several instances of illegal Juul sales to minors; and members of Congress. “The availability of Juul and e-cigarettes to youth is extremely troubling,” one letter read. Ashley Gould, Juul’s chief administrative officer, told Business Insider in March that the soaring interest in the device among youth runs counter to Juul’s mission. “Juul is a company that was started by smokers with an objective to switch smokers to non-combustible products,” Gould said, adding that the company is vehemently opposed to anyone under 18 using their products and even has a number of campaigns aimed at addressing and curbing underage use. Nicotine is a highly addictive substance – one analysis ranks it below heroin and cocaine but above barbiturates (anti-anxiety drugs) and alcohol. Some 85% of people who try to quit smoking on their own relapse. Unlike conventional cigarettes, which have a natural stop mechanism – they burn to the end – e-cigs can be re-filled and reused. Additionally, where cigarettes are highly noticeable and easily policed, e-cigs are discrete and sometimes odourless (or have a non-offensive smell). Vaping isn’t universally banned in indoor and outdoor places. The Juul is also sleek, small, colourful, and fairly affordable, at $US35 for the pen and $US16 for a four-pack of pre-filled cartridges (or “Juul pods”). 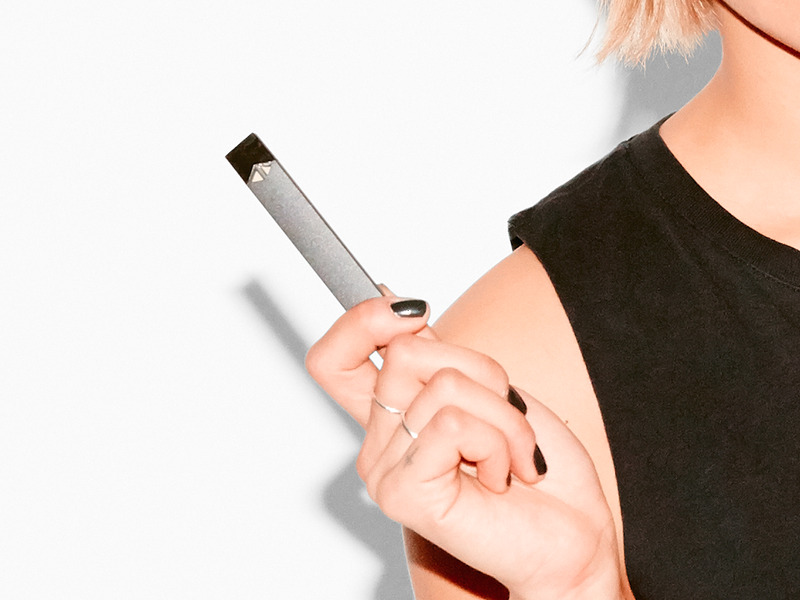 “It is much higher than what we’re seeing in conventional e-cigs. It’s a tremendous amount,” Halpern-Felsher said. Halpern-Felsher is one of several scientists who’ve been called into high schools to give presentations to students warning of the Juul’s high nicotine content. Instead of straight liquid nicotine, otherwise known as “freebase,” Juul uses a patented formula that combines nicotine with salt. The company says the nicotine-salt combination is similar to what’s naturally found in the leaves of a tobacco plant; the end result is a stronger e-liquid that vaporizes more smoothly. 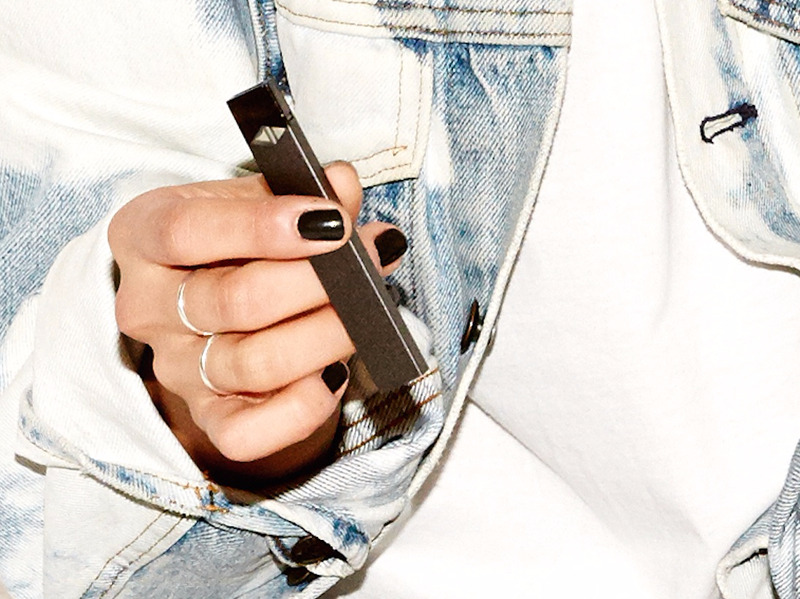 James Pauly, a pharmacologist at the University of Kentucky who studies nicotine, told Business Insider that he’d been reading a lot about Juul devices because their “concentration of nicotine is so high.” He said the salt mixture likely makes the vapour less harsh, meaning it’s easier to inhale more strongly for longer. While an adult smoker might enjoy this aspect of the Juul experience, a teen who’s never smoked might end up vaping a dangerous amount of nicotine in one sitting with no knowledge of how much they have consumed. One study published last month found some of the same toxic metals in conventional cigarettes in e-cigs. Another found that at least some of those toxins appear to be making their way through vapers’ bodies, as evidenced by a urine analysis run by researchers who randomly sampled nearly 100 people in the Bay Area who vape. And research presented recently at a large conference concluded that there was substantial evidence tying daily e-cig use to an increased risk of heart attack. Brain imaging studies of adolescents suggest that people who begin smoking regularly at a young age have markedly reduced activity in the prefrontal cortex and perform less well on tasks related to memory and attention compared to people who don’t smoke. Nicholas Chadi, a clinical pediatrics fellow at Boston Children’s Hospital who spoke about the Juul at the American Society of Addiction Medicine’s annual conference this month, said these brain changes are also linked with increased sensitivity to other drugs as well as greater impulsivity. He described some of the anecdotal effects of nicotine vaping that he’s seen among teens in and around his hospital. “After only a few months of using nicotine [these teens] describe cravings, sometimes intense ones. Sometimes they also lose their hopes of being able to quit. And interestingly they show less severe symptoms of withdrawal than adults, but they start to show them earlier on. After only a few hundred cigarettes – or whatever the equivalent amount of vaping pods – some start showing irritability or shakiness when they stop,” Chadi said. “Vaping among teens is my (and most public health professionals) biggest worry,” Rule said. If you have questions or concerns for Juul related to underage vaping, you can email them at [email protected].